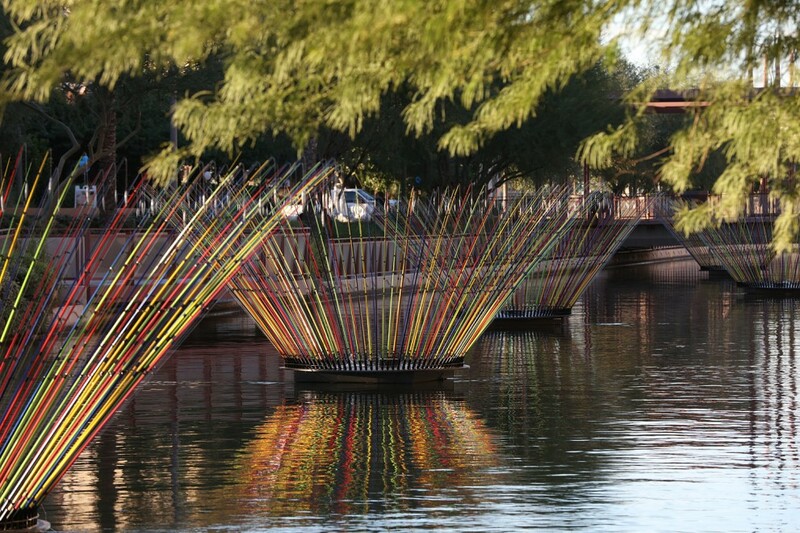 Comprising seven circular arrays of multi colored fishing rods threaded with optical fiber, Munro creates seven large Blooms floating on the Scottsdale Canal. 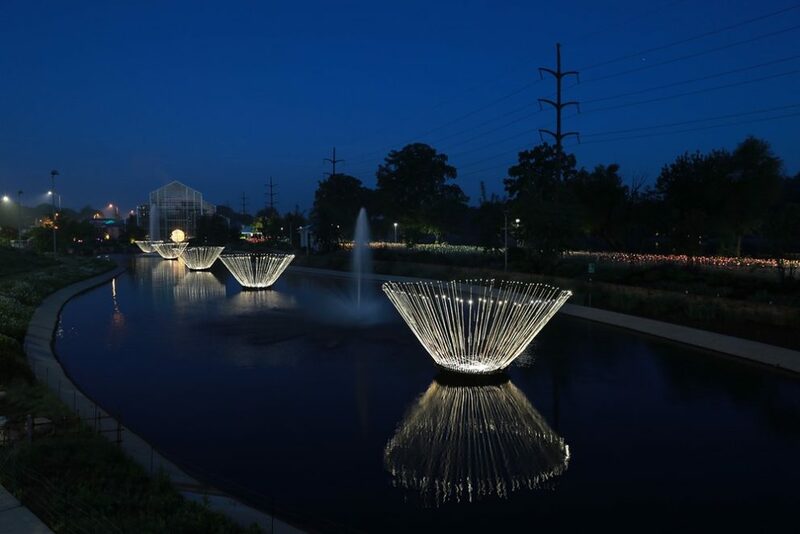 Each bloom resembles the shape of a giant blossoming flower that glimmers and reflects in sunlight and water during the day. 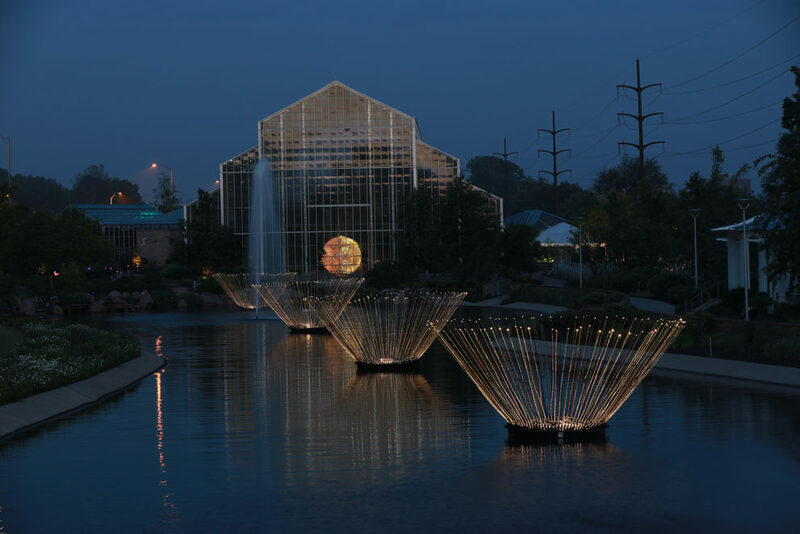 At night with optical fibres illuminated Blooms glow like giant bio – luminescent lily blossoms. Munro’s use of fishing rods is a reverse reference to the protection of the White Amur fish that are imported by Salt River Project to inhabit and clean the canals. 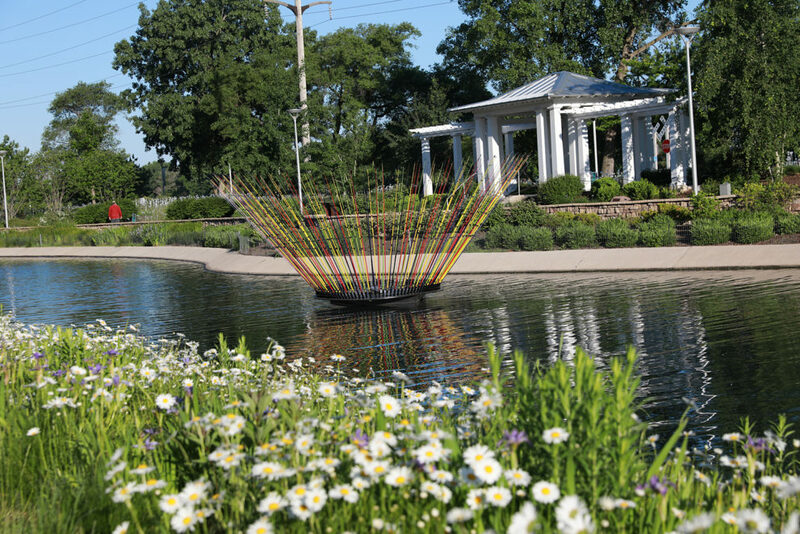 In this way, the installation is intended to serve as a reminder of the eco-system within the canal itself. Blooms was commissioned by Scottsdale Public Art as part of Desert Radiance, a city-wide installation series by the artist. 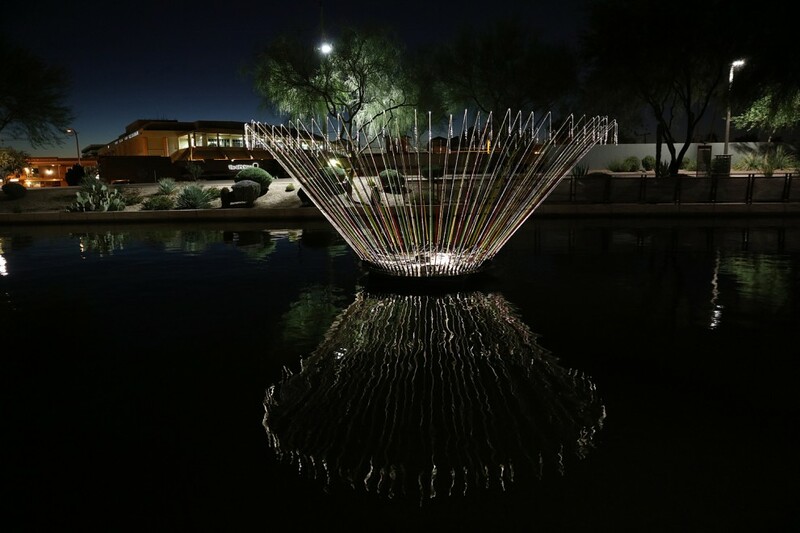 Bruce Munro: Blooms, Scottsdale Public Art, Scottsdale, AZ, USA.